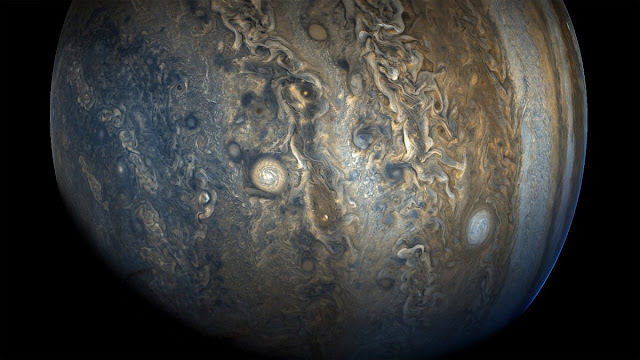 Traveling above Jupiter at more than 130,000 miles per hour, NASA's $1 billion Juno probe took its ninth set of stunning flyby images on October 24. But the sun slipped between the giant planet and Earth for more than a week, blocking the spacecraft from beaming home its precious bounty of data. Now that the conjunction is over, however, new raw image data from Juno's ninth perijove — as the spacecraft's high-speed flybys are called — has poured in. Researchers posted it all online on Tuesday, and a community of amateurs and professionals has been busily processing the data to yield colorful and stunning new pictures of Jupiter. 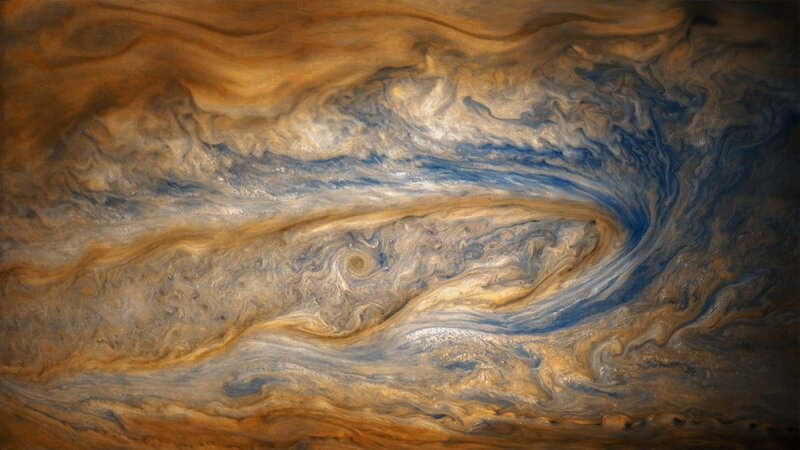 “Brand new Jupiter pics from @NASAJuno Perijove 09! 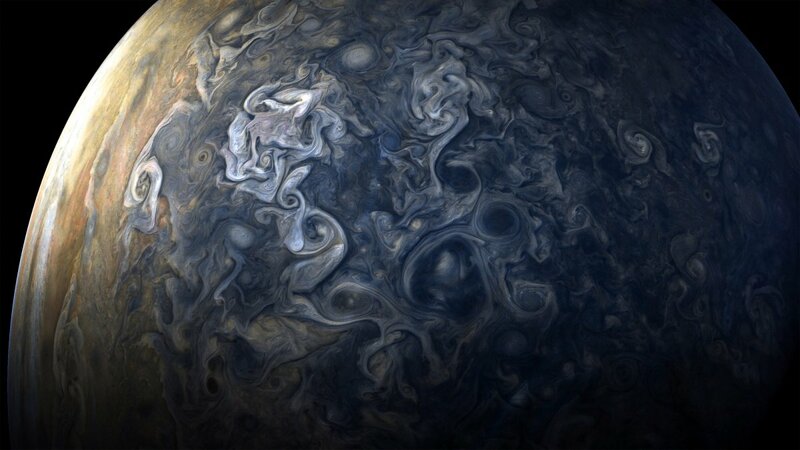 What a blimmin' gorgeous/diabolical planet,” Seán Doran, a UK-based graphic artist who regularly processes NASA images, tweeted on Tuesday. 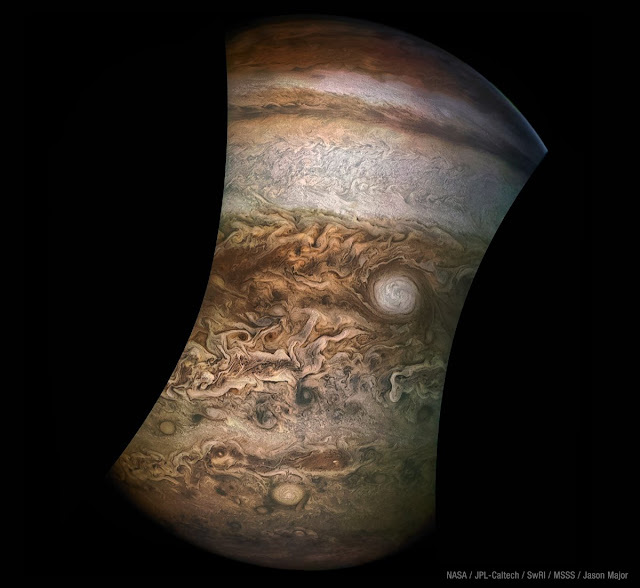 Below are some fresh, close-up images of Jupiter, along with other unbelievable views captured from earlier perijoves. 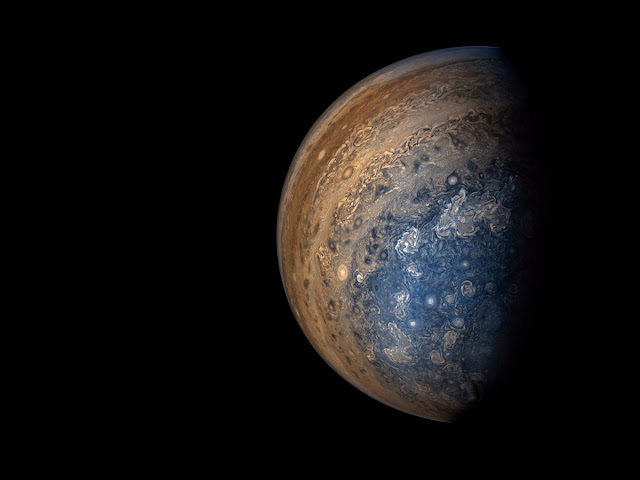 At its closest approach to Jupiter during each flyby, the robot briefly becomes the fastest human-made object in the solar system, reaching speeds of around 130,000 miles per hour. Then Juno flew back out into deep space, passing over Jupiter's South Pole on its exit. Churning storms at the poles constantly change their appearance. 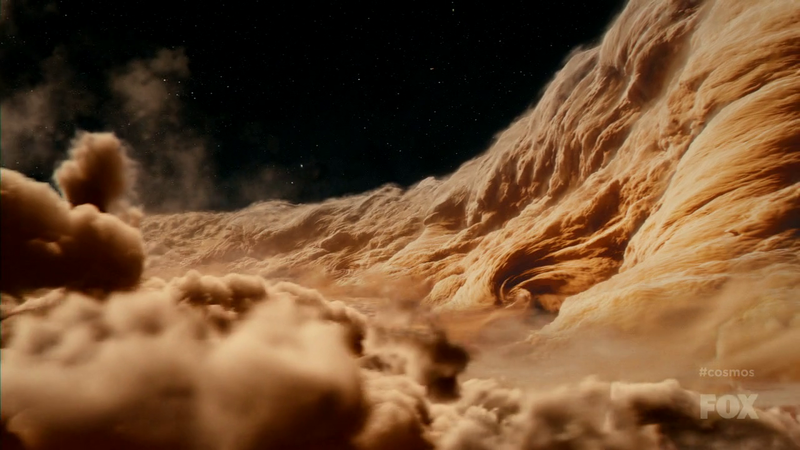 he planet's atmosphere is a turbulent mess of hydrogen and helium gases. The atmosphere of Jupiter is the largest planetary atmosphere in the Solar System. 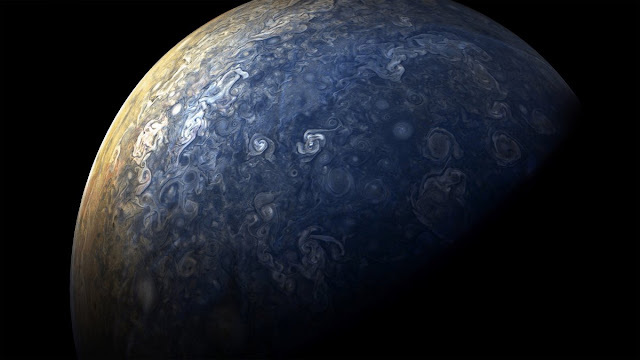 It is mostly made of molecular hydrogen and helium in roughly solar proportions; other chemical compounds are present only in small amounts and include methane, ammonia, hydrogen sulfide and water.